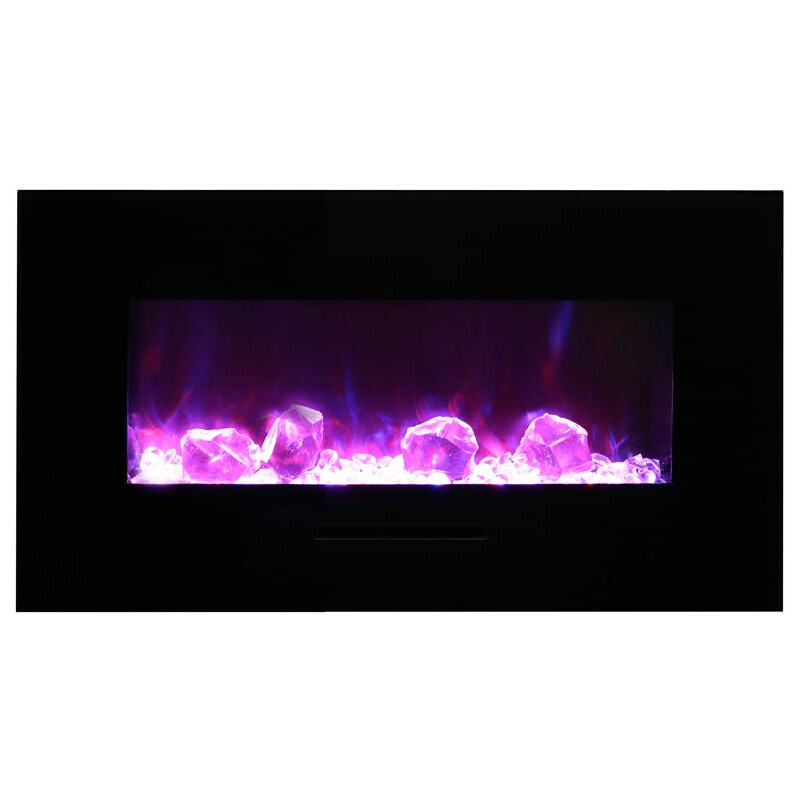 The Amantii WM-FM-34-4423-BG 34″ Flush Mount Electric Fireplace has a high/low 1500W/750W heater with fan. 4 stage front & 4 stage internal back lighting. Adjustable flame brightness. Fixed glass front. Heat comes out from the front, below the viewing area. 13 colors of backlighting. Included black steel trim is optional. 2 Year limited manufacturer’s warranty. The contemporary looking WM-FM-34-4423-BG is a stunning electric fireplace that can be built in flush or wall mounted with included brackets. All of these Built-In Flush Mount / Wall Mount units come standard with an LED ember lights log set and choice of EMBER or ICE decorative media. Standard surround in box is black – however White glass surrounds are available for additional purchase.